The final level of evolution of the E-Horizon Wave Platform is setting benchmarks for integration, design and riding culture. At its core is the innovative, three-part box flange concept. It allows the new Bosch Active Line Drive Unit to be completely integrated into the frame design. No compromises when it comes to handling, safety and riding characteristics: the new flange concept creates space for a wider step-through, and at the same time, the frame construction is extremely torsion-resistant while also being exceptionally comfortable.  The weight distribution of the drive unit and the battery, which is balanced to the greatest degree possible, ensures that this step-through bicycle has outstanding stability.